Lets face it we all love chocolate cake. A flavour that has stood the test of time. 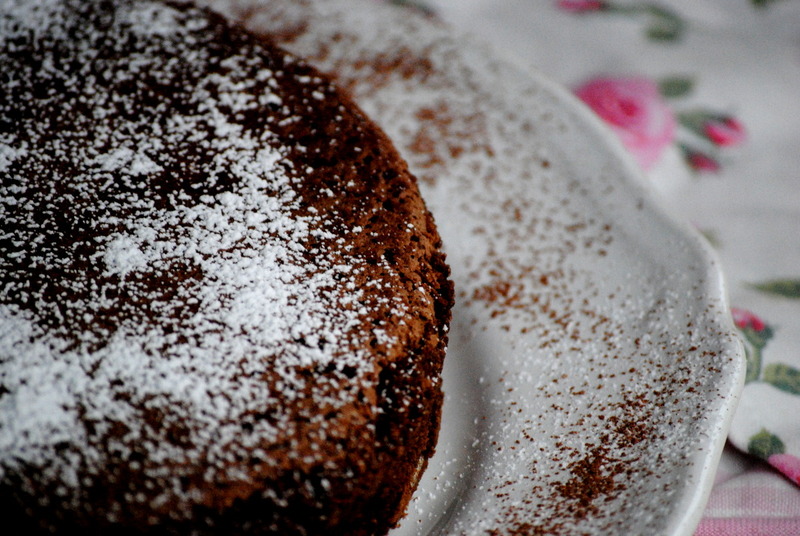 The best thing about chocolate cake is that the basic recipe is simple, ingredients easily available and they are easily available. But you can always work around the basics and turn them into something gorgeous. 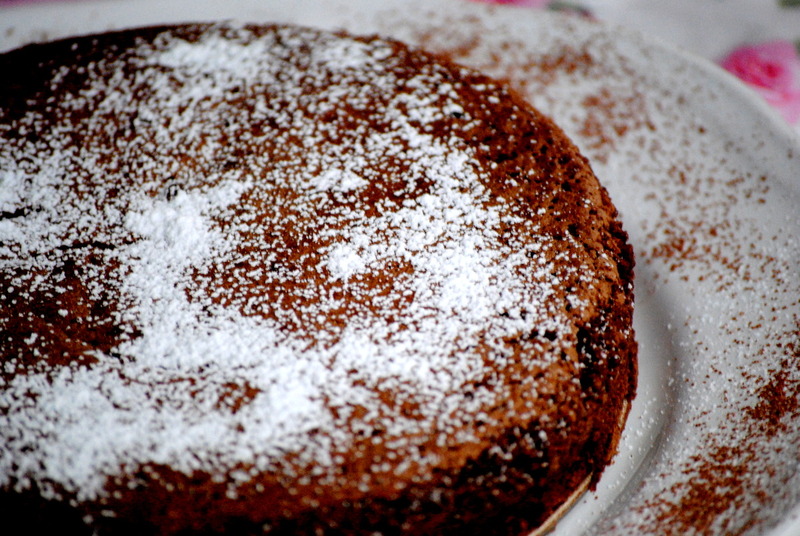 This particular cake is moist tasty and works great for wheat and dairy intolerant. 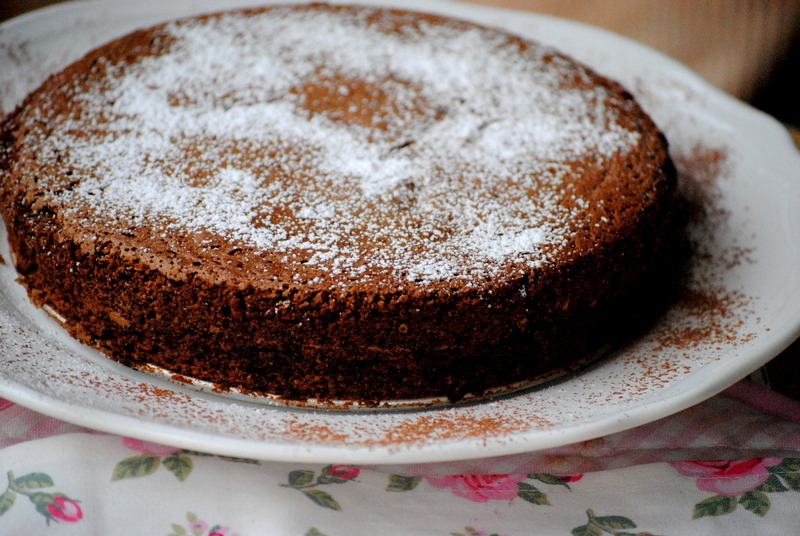 It is slightly heavier with the almonds – It just gives a twist to your everyday cake. Made with the almonds, it has more of pudding feel about it and I love it still a bit warm, with some raspberries or ice cream. Little secret ingredient here is Olive oil. Preheat your oven to 350 deg Fahrenheit . Grease your spring-form tin with a little oil and line the base with baking parchment. Measure and sift the cocoa powder into a bowl or jug and whisk in the boiling water until you have a smooth, chocolatey, still runny (but only just) paste. Whisk in the vanilla extract, then set aside to cool a little. In another smallish bowl, combine the ground almonds (or flour) with the bicarbonate of soda and pinch of salt. Put the sugar, olive oil and eggs into the bowl of a freestanding mixer with the paddle attachment (or other bowl and whisk arrangement of your choice) and beat together vigorously for about 3 minutes until you have a pale-primrose, aerated and thickened cream. Turn the speed down a little and pour in the cocoa mixture, beating as you go, and when all is scraped in you can slowly tip in the ground almond (or flour) mixture.